If you’ve been following my iPhone 6 Plus case reviews here on Run Around Tech you know I’ve been on the hunt for the perfect wallet case. Many of the wallet style cases I’ve checked out so far have just been too bulky for me to use on a daily basis. 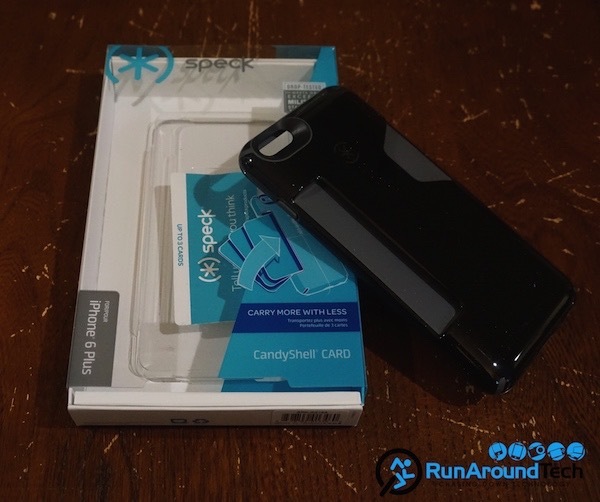 The Speck CandyShell Card Case for the iPhone 6 Plus is different. Instead of a folio design the CandyShell Card Case piggybanks a slot on the back of the case where you can store up to three cards inside. The CandyShell Case is one of the original iPhone cases and remains one of the best to this day. How does the Card version perform? Check out my full review below to find out. Click here to read the full review from Run Around Tech. Plus, don’t miss what Forbes had to say about our CandyShell and CandyShell Grip in their article “The Best iPhone 6 Cases You Can Buy.” Need we say more?